GISD’s “district of choice” policy allows parents to choose where their children will attend school, based on established criteria for ethnic balance. Annually, the district has a one-month selection period for both secondary and elementary schools. Once the selection period ends, the district’s Student Services department begins the process of assigning students to campuses based on building capacity, grade-level capacity, and seat availability. Other criteria, including campus demographic data, are considered before making the final decision on school placement. To help with student travel and support the district of choice policy, the district’s GIS department developed a Flex application for distance routing. With this application, officials can determine the location of a student’s home and local schools within the immediate vicinity. 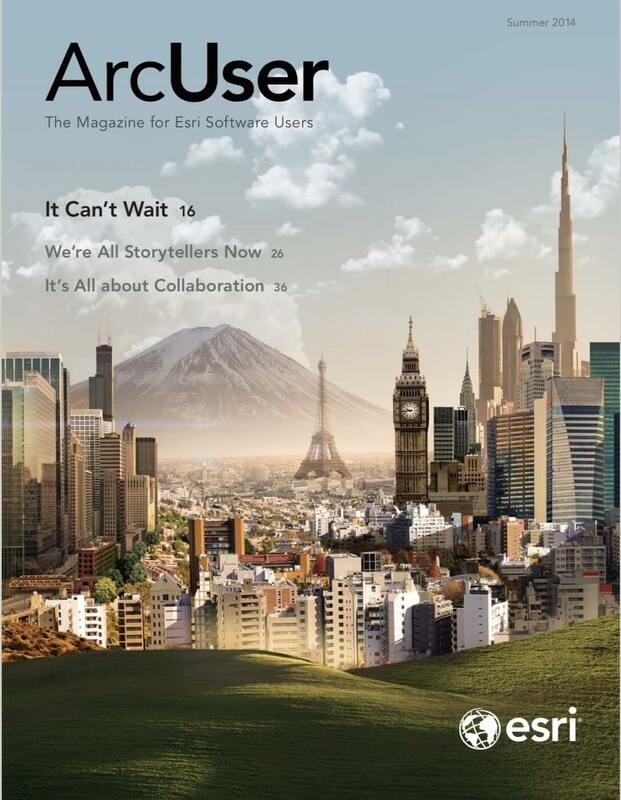 For several years, the district used Autodesk’s AutoCAD for facilities management. The district’s AutoCAD facilitator was responsible for converting all paper drawings into AutoCAD drawings and maintaining facility floor plans during the district’s $385 million bond program. 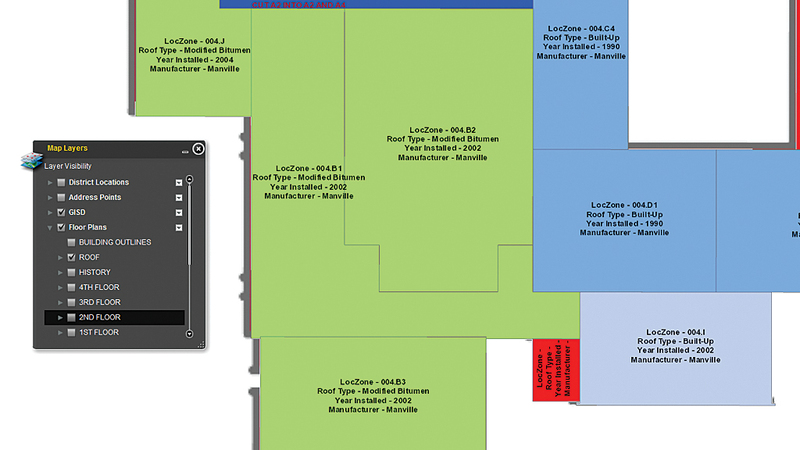 Approximately four years ago, the facilities department began implementing a GIS to be used in conjunction with AutoCAD. 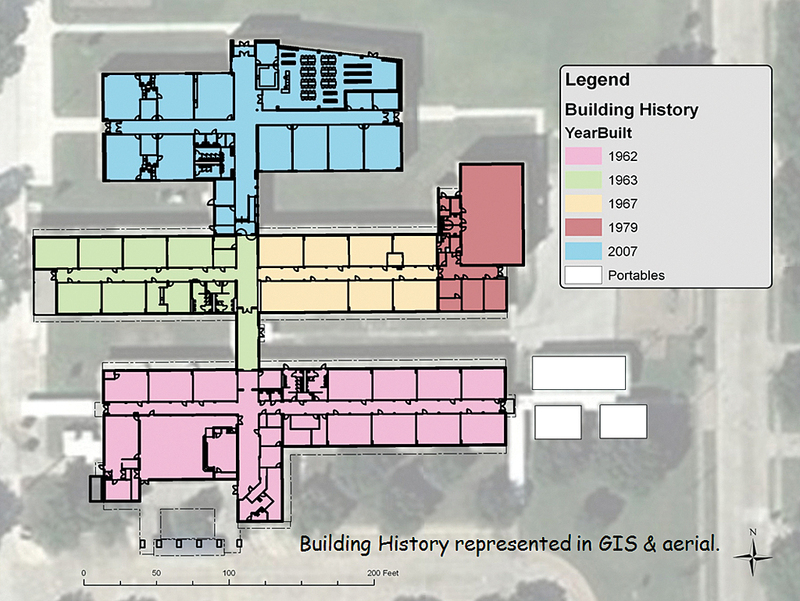 The district retained all facility floor plans in AutoCAD while using GIS to provide easy access to site plans, floor plans, room numbers, and data referenced to them. Walker’s module removes all the unnecessary polylines in the AutoCAD drawings by running a spatial buffer with a dissolve around it. Because he set the buffer value at one-quarter of a centimeter, he got a half-centimeter line on either side of the polyline. The result is that all the thousands of tiny polylines become one complex polygon that draws very quickly. In addition, Walker uses Esri’s ModelBuilder to extract data from the AutoCAD drawings and create new layers in the geodatabase. “We apply structured queries to the polygons and annotations in AutoCAD to extract GIS feature classes from roof plan outlines and their related buildings,” said Walker. He used the same method on the construction history of both the original buildings and other structures that were subsequently attached to the original buildings. By doing this, he created about a half dozen new layers from the original AutoCAD files that could then be used to analyze the condition of district buildings. Another aspect of room number standardization is its impact on security and emergency response. School entrances and exits throughout the district are now numbered in such a way that they are in compliance with police and fire department guidelines. This allows first responders to react quickly and efficiently once they arrive at a campus. “We’ll soon begin to incorporate the new numbering system with GIS views and printed maps that relate to the current construction of each facility,” said Walker. In addition, the GIS department recently helped the district’s transportation department with the implementation of a new GIS-based routing system. Currently, the district transports approximately 28,000 students on 250 buses daily, totaling 3.5 million miles per year. 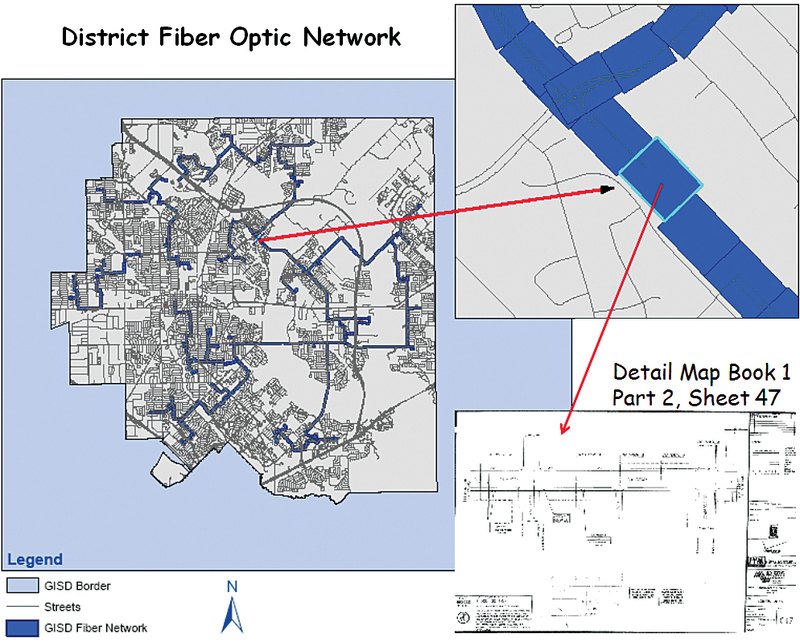 To supplement and enhance this system, GISD is using the ArcGIS Network Analyst extension to build an extensive street and sidewalk network.